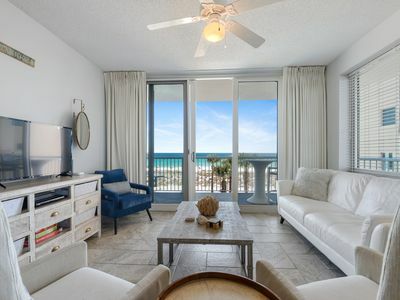 This first-floor condo offers breathtaking views of the Gulf of Mexico and quick access to the pool, hot tub and beach for a relaxing vacation. Keep an eye on the kids while you enjoy cocktails on the balcony. 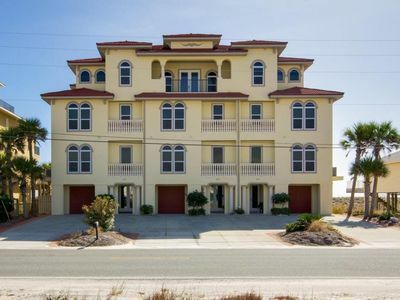 The master bedroom features a comfortable King size sleigh bed, warm wood furnishings, flat screen TV, walk in closet (not that you need all that space when you live in shorts, tank tops, bathing suits and flip flops). 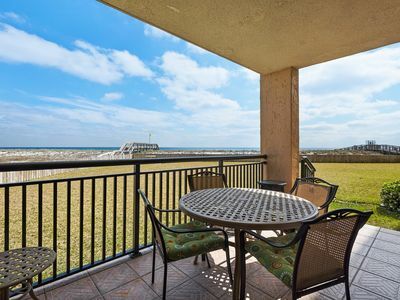 Wake up to the unbelievable views of the beach from your bed. 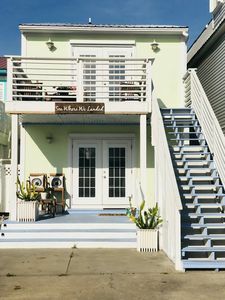 The private bath features a 6-ft. whirlpool tub and huge walk in shower. 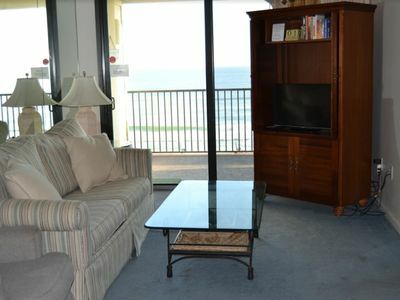 A large second bedroom has 2 full size beds, a dresser, a large closet and flat screen TV. Another full bath is right outside the bedroom door. A pocket door separates this area from the main living space for additional privacy. The living room has comfortable leather seating. 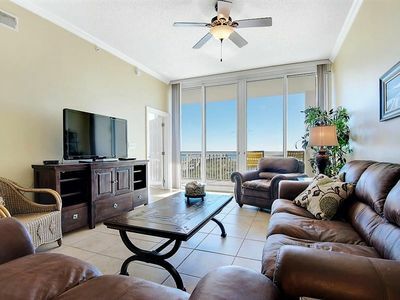 A large flat screen TV with DVD player offer additional entertainment when skies are gray. The dining area has seating for 8 with a six-person table and two additional bar seats. In the mood for a Margarita, Pina Colada or other tasty boat drinks? Or maybe just a bottle of wine over a romantic dinner. 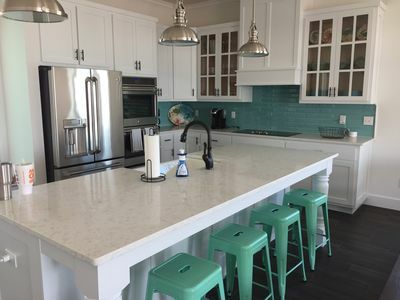 The wet bar off the dining area offers space to whip up whatever you're in the mood for and keeps the kitchen clear for the chef. 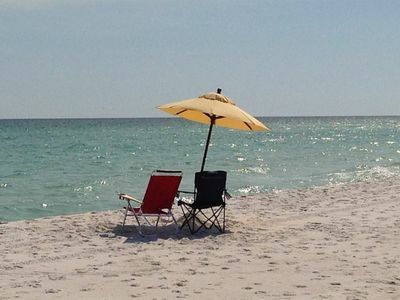 Whatever you prefer, it’s always 5 o'clock on the beach. 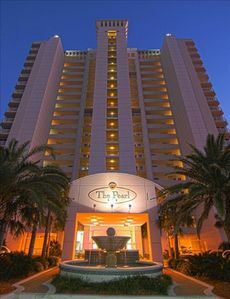 A large balcony overlooks the pool and offers 180° views of the Gulf of Mexico. 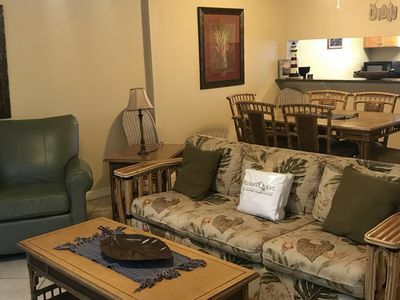 On site amenities at this well-maintained condo include 2 pools (one heated in the winter), a hot tub and a well-equipped fitness center. 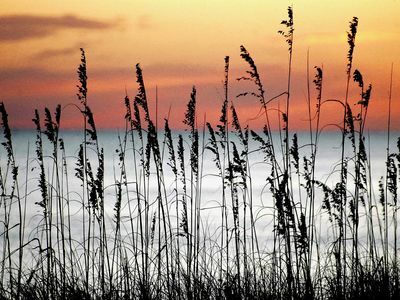 Beach setup service is available on site for an additional fee from the vendor. 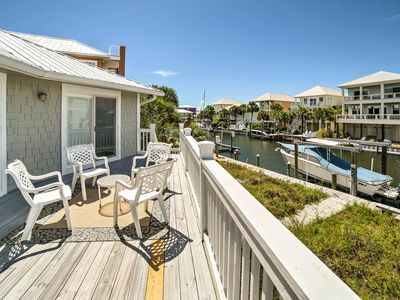 The Condo is within walking distance to the convenience store, the marine park, the snorkel reef, restaurants, bars and Florida's longest fishing pier. 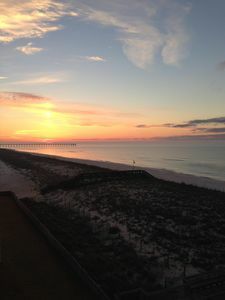 All photos in this listing are recent and reflect the current condition of the condo and amenities. 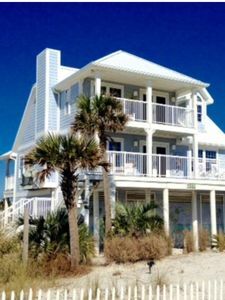 Ocean Front Sleeps 10 - April $159/night! 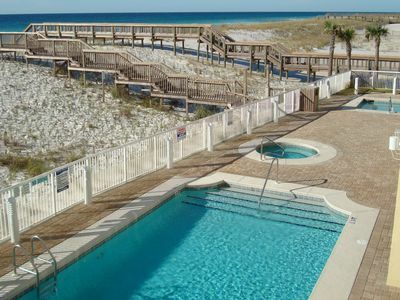 Sugar Beach A-9 ~ Gulf Front with POOL! Best Rates In Complex! 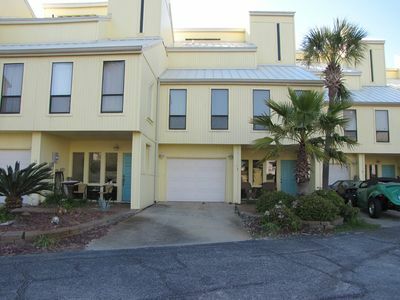 WONDERFUL 3BR/3BA Condo, All Kings, Sleeps 6, Free Beach Service! 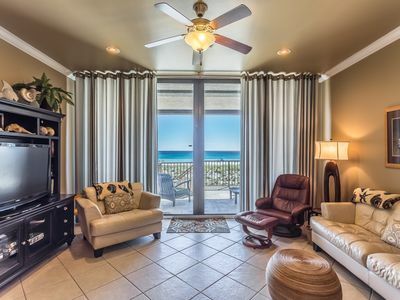 Fantastic Ocean View! 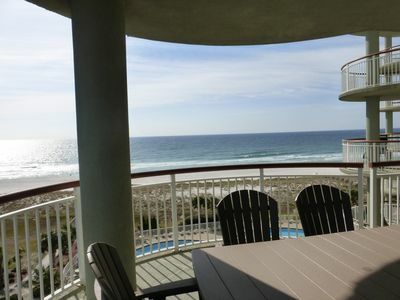 Walk to beach, pier & restaurants from stylish condo. Very Spacious! 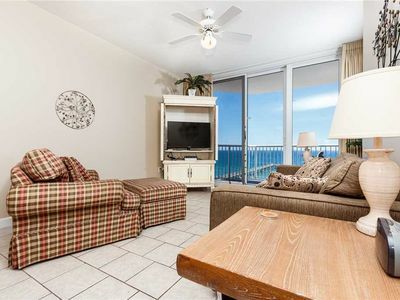 Recently updated decor and Beachy casual. Upstairs house. 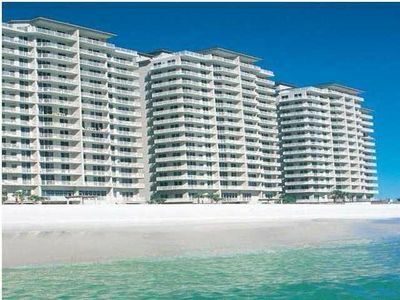 TUSCANY NAVARRE IS A 5 STAR OCEAN FRONT LUXURY RETREAT RIGHT ON THE BEACH!! 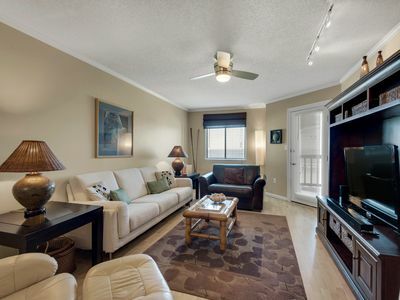 Sugar Beach G31 - Booking spring vacays, now!